I will sing and make music with all my soul. Building the next generation of Filipino harpists. Our passion is to make wonderful music with the harp, make the instrument more accessible to everyone, and raise up a new generation of harpists who love to make music and share that music to the rest of the world. Built with relentless perseverance and hard work. Our journey started with no harps. Just the passion, dogged determination, grit, and grace that got us travelling tens of thousands of miles in search of like-minded and excellent harpists to learn from and make music with. Read more. Using the music of the harp to touch hearts, one soul at a time. We not only teach, perform, and sell harps; we also hold events in churches, hospitals, senior homes, Alzheimer centers. Places where our music is needed the most. To serve God and the community through quality harp music and education. 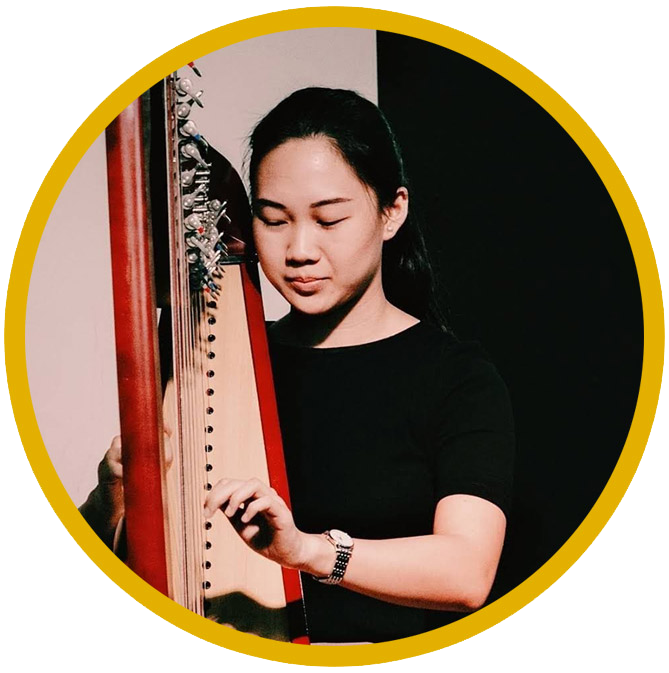 ​To empower and inspire harp enthusiasts both young and old to reach their full potential in learning and playing the instrument through well-planned lessons, assistance in deep and effective practice methods, and providing performing opportunities and venues. We value your individuality and we work according to your background, goals and learning abilities. ‍We believe that time is a very essential element in learning the instrument with joy. The more an individual spends time with something, the more he or she discovers about it. We celebrate every step of progress and aim for excellence but above all we nurture the love for the music. A musician of good character is better than a perfect performer. There aren’t very many Harp schools in the Philippines. Even so, HarpRoom is able to stand out with their expertise, incredible talent, dedication, and love for the instrument. They push you to do your best, broaden your horizons and expand your comfort zone, all the while showing patience and kindness. They not only teach you technical details, but also the emotions and feelings needed to bring a song to life. My teacher is a great mentor and an inspirational harpist. Without her and HarpRoom, I would not be the instrumentalist I am today. I am incredibly thankful to have them. Want to be a harpist?